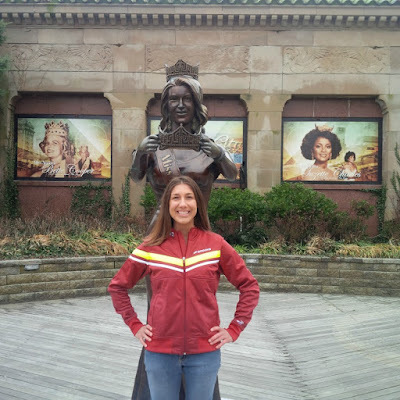 Fairytales and Fitness: Meet me at the Miss America Pageant! 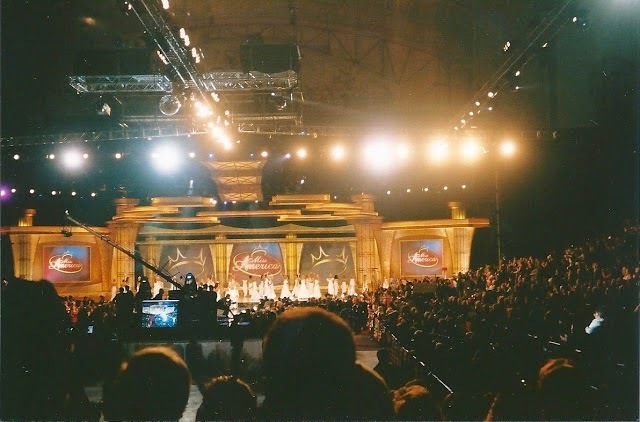 Oh wow, it's cool to see that zoomed out photo of the live taping. I thought it looked really glamorous on tv and would never have thought that's what it really looked like! I think it is always interesting to see the behind the scenes of a TV show or production. I went to see The View twice and I just loved seeing the set, the lights, where the audience sits, all that stuff! We went to AC once and had a great time walking the boardwalk. We didn't gamble but I did spend a lot of money on top shelf dirty martinis! I adore that photo of you with the statue putting the crown on your head! It is always very cool to go behind the scenes of any production. There's so much more coordination involved than most of us realize! I hadn't seen Miss America in years either but I caught the very end of it this year. I saw Miss Texas totally blow her question and then the crowning. Having worked in TV, I can tell you that behind the scenes is rarely if ever anything special. I'm glad they moved it back to Atlantic City as well! Oh how fun! That would be a great experience to have! I agree Atlantic City is a great place for the pageant! When I was a little girl I would have just loved to be in the room watching it live! I have never been to Atlantic City, seems like it would be a fun place to check out. I can't ever remember watching it, but think it's pretty neat that you got to see something live that millions of people will only ever see through a screen. Your picture is so fun - I've never been to Atlantic City, but if there is a tiara involved, sounds like a great time to me!